From Entomophobia to Fergie's National Anthem, these stories are as entertaining as they are informative. Everyone has at least one bus experience that’s abnormal or just makes them think “huh, you don’t see that every day”. Even if you try and mind your own business by not looking over the seat, it’s hard not to. It’s also hard not to tell someone else what happened, whether it’s about yourself or other people. 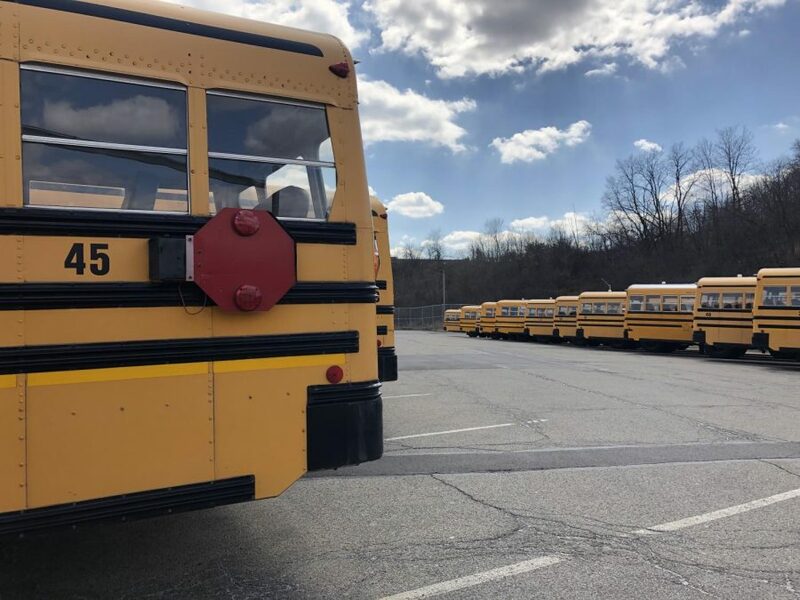 Everyone has a crazy bus story to tell, and some students reached out to NAEYE to share theirs. Buses are ready for another round of weird events. “I had a lot of crazy bus rides in elementary school, but there one was one reoccurring thing that kept happening. One of the boys in my grade would crawl under the seats, and he would grab people’s ankles on the bus. Basically, a lot of us sat with our feet on the seat because we were afraid he would pull them for a lot of the year. “On the first day of seventh grade, I, along with two other girls in my neighborhood, was informed that we’d have to ride a different bus home each day than the one we rode to school in the morning. This would’ve been fine, except that our new afternoon bus was already filled with kids that rode it in the morning, all of whom had staked out their own territories. There was an average of one kid per seat, giving them room to sprawl out and relax. Realizing this, I and the two girls piled into a single seat towards the middle, trying to be as non-invasive and inconspicuous as possible. Keep in mind, we each had backpacks, I had a violin, and one of the girls had a trumpet. So yeah, it was a bit cramped. But we didn’t want to steal any of the morning kids’ seats, so that’s what we did. We also figured since we were the first stop, we’d be out of everyone’s hair before they could get angry. Boy, were we wrong. Enter entitled girl (EG). EG: *literally stomps down bus aisle* That’s my seat. At this point, the bus is about ready to go, and all the seats are taken. There’s not really anything we can do. I hate confrontation, so I thought apologizing would be best. Me: Oh my gosh, I’m so, so sorry. We ride a different bus in the morning, we didn’t know. Is it okay if we sit here just for today? We’re the first stop, we’ll be gone in a few minutes. EG: I don’t CARE. That’s MY assigned seat, go back to your own bus! As I said, I don’t enjoy confrontation, but I hate bullies and jerks even more. So I turned around and calmly explained what I’d already stated. Me: I’m really sorry. I promise we won’t sit here tomorrow. We’ll be out of your hair in a couple of minutes. EG: Well, it’s just irresponsible! What if the bus was gonna explode or something? The bus driver needs to know who’s in that seat, and he can’t DO that if you go around stealing people’s seats! Basically, I and EG get in a huge shouting match. Because she was being an idiot. Also, I’d like to point out that the two neighborhood girls were not helpful at ALL. Here I am, defending them and myself against this pumpkin head, and they’re just sitting there! EG: I’d PAY to see that. And so, for the rest of my seventh-grade year, I walked home. Every. single. day.